ACAD IONS AND VRTX were the 3 we put our focus on. We ended up buying IONS and VRTX only so this writeup will mainly show data on those names. 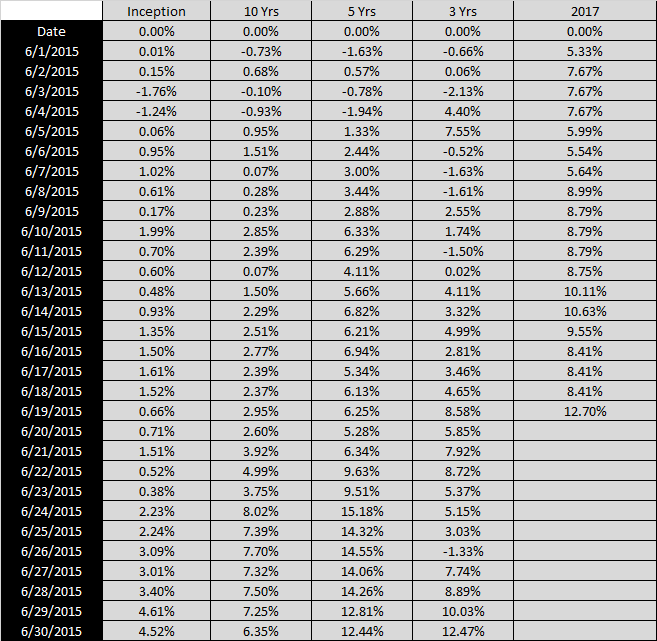 Below is every trading date for IONS since 1990. When we focus on the average time frames and graph it, it tends to tell a story. 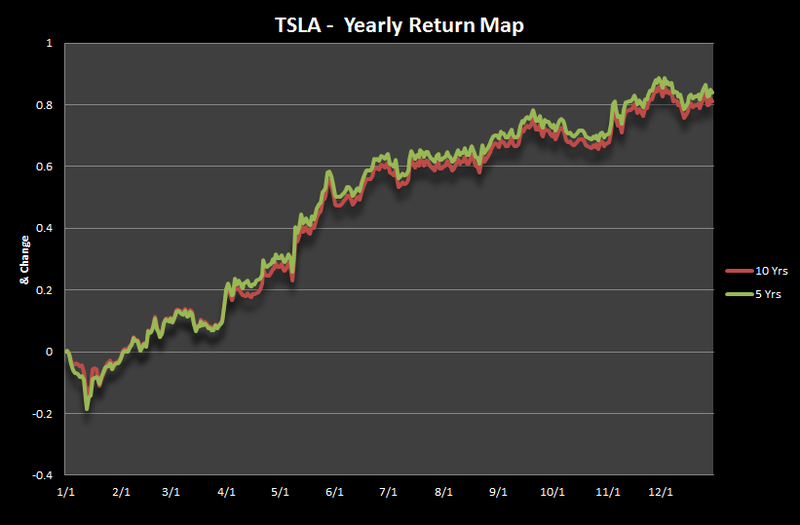 The worst IONS has done on average is +4.52% in June and the best was +12.47%. Now we organize it by the averages using our specific time lines. Here is the chart of VRTX in June. It looks to have plenty of upside when you compare to the 3 and 10 year averages. While we didnt buy ACAD, its nice to check in on its progress since it only takes 1 min to pull the info together as its all automated. 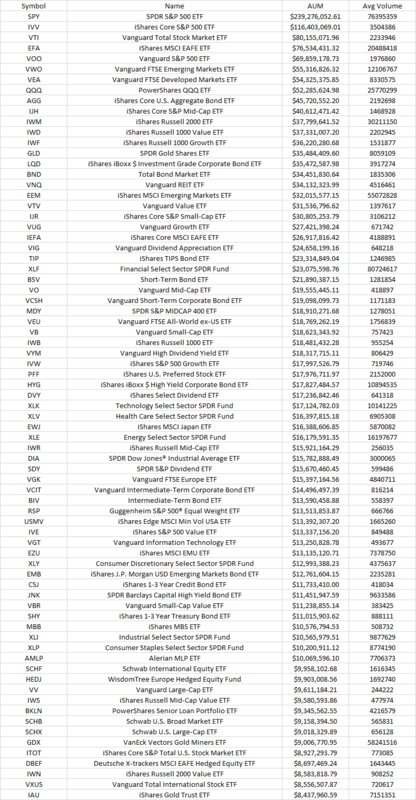 Technical scan of the 75 largest ETFs in the world. The list is shown below sorted by AUM which is Assets under management. It’s basically the total market value of assets that an investment company or institution manages on behalf of investors. What a difference a price correction makes….. While ALGN sat in the upper $140s, it suffered in our JXM analysis, not only falling outside of the top 5, put placing a distant 16th place (below snap shot from 6/11/17). A day later, after the price correction, ALGN moved back into the Top 5. 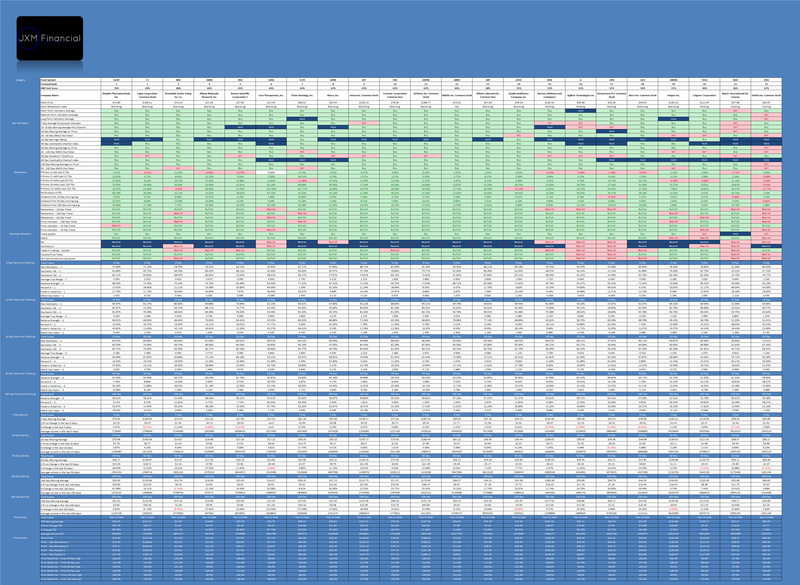 This swing displays the power of regular sheet scoring as well as the Valuation Level. 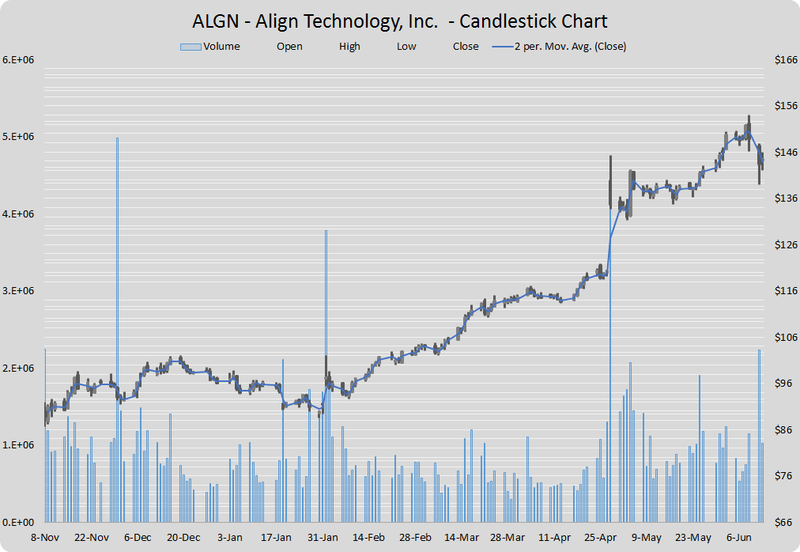 On June 11th, the Valuation score for ALGN was a terrible 38%, but increased to 65% after the price correction. 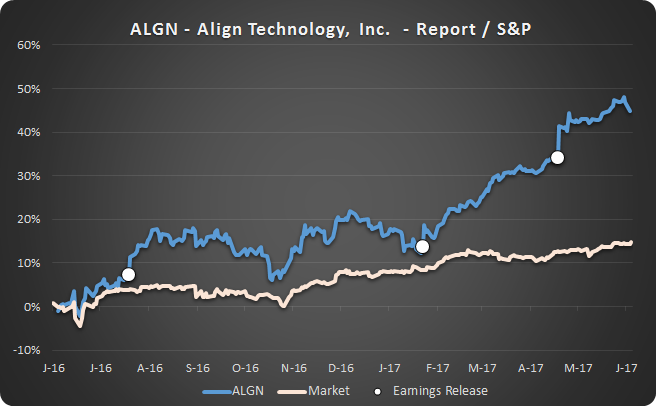 Backed by dominate Fundamentals, Guru ratings, and JXM Rules, ALGN moved back into the top 3. While this is a nice overall score, the stock still suffers from a Technical score of only 56%, which is below our target range. Last year, it increased by nearly 20% in the month that sandwiched it’s report. We will check again in a few weeks to see where this one stands. As an aside, this Healthcare run is filled with potential gems, including EW, VRTX, SUPN, and ABMD. While ABMD has been on our radar for awhile, we recently posted on SUPN. VRTX may require a post of its own.